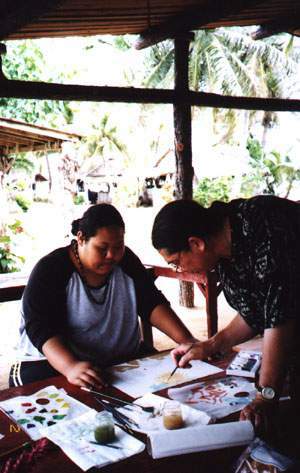 Wildcat painting workshop at Gef Pago, cultural village on the south of the island of Guam by the turquoise Pacific Ocean. 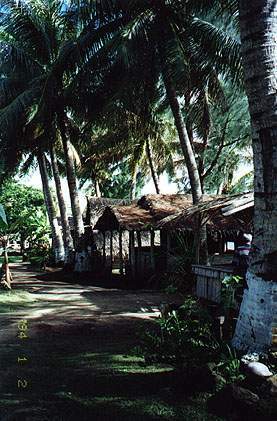 At Gef Pago, meaning "continuing beauty" in the native Chamorrow language, Wildcat had another beautiful setting for another Art Workshop weekend. "Having this artist tell me my work was good, may keep me from banging my head against the wall"
This alone made the entire workshop worthwhile. The shy young girl has great talent and creativity, and with others painted with us two days.